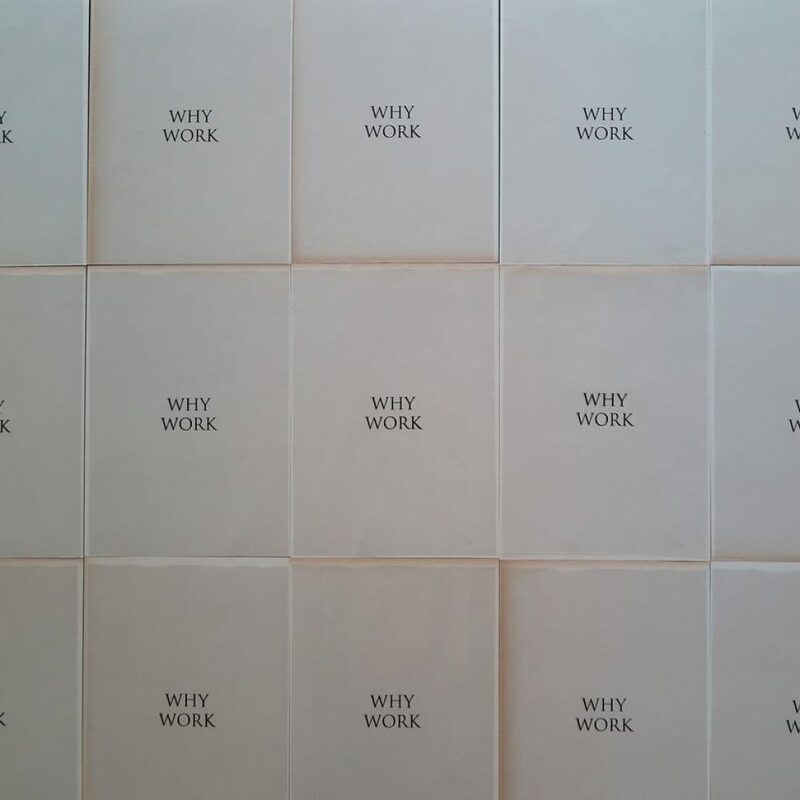 WHY WORK is an installation by artist Lisa Wilkens who is currently residing at Narva Art Residency. On the first day of her residency, Wilkens attached 48 sheets of A4 sized, non-acid free paper onto the windows of her residency studio, each sheet covered with a transparency on which WHY WORK is printed in small, black, capital serif letters. The exposure to sunlight will make the paper darker, except for the areas covered by the letters, revealing the words WHY WORK as a negative sun print on the paper. Wilkens practice and research is currently directed towards work and labour specifically the valuation/devaluation of manual labour. She is interested in the connections between industrial and artistic labour as well as post-work and sharing economies. Wilkens has studied design and visual arts in Switzerland and England and is currently attending the post academic research programme at the Higher Institute for Fine Arts (HISK) in Ghent, Belgium.